The dust has settled and most of us have begrudgingly coming to terms with Palestine's exit from the 2019 AFC Asian Cup. Now we must ask where does the national team go from here and how reasonable is it to expect more from Palestinian football. As far as expectations are concerned, it was a completely reasonable expectation to find a way to win a game at this 2019 AFC Asian Cup. Australia and Syria did not live up to their pre-tournament billing of favorites and while Jordan were better than expected; they were, player for player, no better than the footballers Palestine fielded. The most damning indictment is Palestine's failure to score a single goal at this tournament. It was something they at least managed to do in Australia despite three blowout losses. Four years on, Palestine alongside Yemen, were the only teams who failed to find the net in the UAE. To expect to win without a game plan, without a coherent method in place to attack the opposition is unrealistic. That was the situation Palestine were put in by their manager. In the aftermath of that exit, it is now time to take stock and ask- are we fine with showing up at tournaments and playing not to lose? If the answer is no, then it is time to commit to a manager with a clear vision for the next four years. One that can take Palestine to new heights. The first step in that process is to give Noureddine Ould Ali his marching orders. Much to the chagrin of many other outlets, Football Palestine supported the Algerian in an effort to give the national team the best chance of success after a tumultuous 2018. The results may not loos so bad but the performance on the pitch tell a different story and to make matters worse are the excuses and the lack of accountability. According to manager Noureddine Ould Ali, everyone is to blame but him for Palestine's failure at the Asian Cup. The players, the league, and maybe even BeIN Sport's Yahya Nafee. I had the opportunity to sit on the press conferences of several losing managers at the Asian Cup. Every single one of them accepted blame for defeat. Save for one- Ould Ali. His attack on the press is so shameful he should be relieved of his duties just for the embarrassment his outburst caused. When he was not busy attacking the press he was hard at work peddling excuses for his managerial shortcomings. “Our clubs don't have the tradition of playing Asian Champions League.” Ould Ali told the BBC. Neither do Vietnam, Kyrgyzstan, Oman, or Bahrain or two-time quarterfinalists Jordan or even 2007 Champions Iraq. Palestine did have plenty of players with European and South American experience to call upon in lieu of the Asian Champions League. 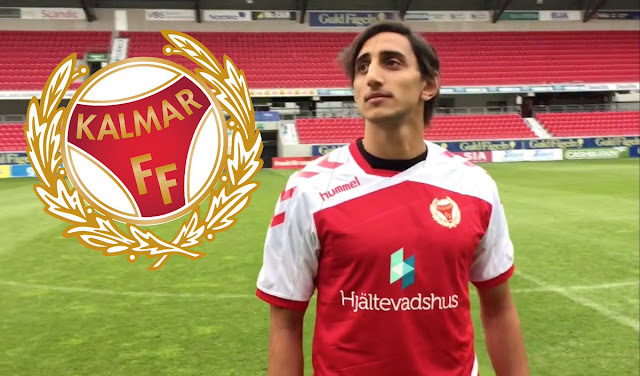 It was Ould Ali who decided to go with Khaled Salem instead of Swistzerland-based Saleh Chihadeh and Sameh Maraba instead of a proven Allsvenskan performer in Ahmad Awad. Furthermore, claiming that Palestine have to be taught not to lose is downright insulting to what the squad accomplished over the last four years. They lost three games before Ould Ali took charge in May and have lost six under the stewardship of the Algerian. So clearly, his conservative methods are not particularly effective. 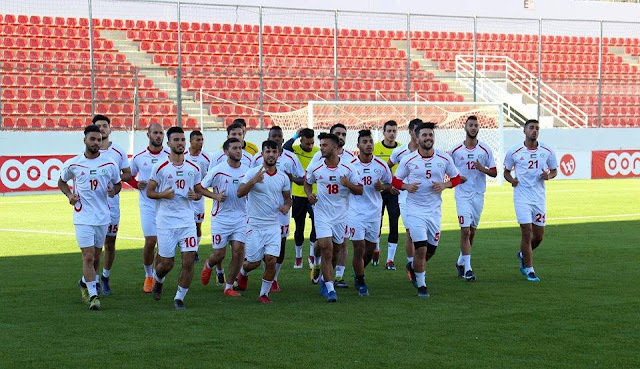 Several players told Football Palestine that “Noureddine thinks we're useless” and it is now an open secret that Palestine's fullbacks were given strict instructions not to attack. In the face of negative tactics and baffling squad decisions the team did the best they could. One could argue they executed instructions perfectly in keeping two clean sheets. Perhaps more heartening is that squad players who were promised a role only to sit on the bench for all three games were model teammates. The fact of the matter is, if Ould Ali is so low on the team's ability he should resign gracefully. The international press will accept his bogus claim that he did the best he could in difficult circumstances and a limited squad. There is nothing more Ould Ali can do with this squad as he has no idea how to set up a team to attack. If he continues in the role, I fear many more promising footballers will join Tamer Seyam on the sidelines in premature retirement. If the result of the 2019 AFC Asian Cup showed us anything it's that a commitment to a manager and a plan can yield great results. The Japanese have been doing this for the last 30 years and it is that planning that turned them from debutants in 1988 to champions in 1992. Qatar invested heavily into the Aspire academy and were richly rewarded with their first continental title. Let us be realistic though, Palestine does not have the financial or material resources that either country has. We cannot realistically expect the PFA to replicate either model but there are plenty of raw resources the country has that the other associations don't have access to. The modest financial state of most families living in Palestine means kids still grow up outside kicking a football, developing techniques and fostering creativity that can be taught at a later stage of their development. This is not the case in the GCC states where most children lead sedentary lives in front of a PlayStation. Second, although the Palestinian league isn't renowned for its top level quality it does give an opportunity to Palestinian players- particularly young players to play consistently and competitively. The league has its faults but it has also developed talents. The older generation of Ashraf Nu'man, Abdelatif Bahdari, and Ramzi Saleh have now given way to a generation that has only known a world were professional league existed. Mahmoud Wadi, Musab Al-Battat, Mohammed Saleh, and Oday Dabbagh are all talents that have been produced and nurtured by the system. Thirdly and most importantly, Palestine can rely on other FAs to produce a steady stream of players. Footballers from inside the Green Line as well as those from the diaspora have boosted the quality of the senior and Olympic teams. So what is needed to make an honest attempt at qualifying for Tokyo 2020, Qatar 2022, and to finally do something newsworthy at the next Asian Cup? 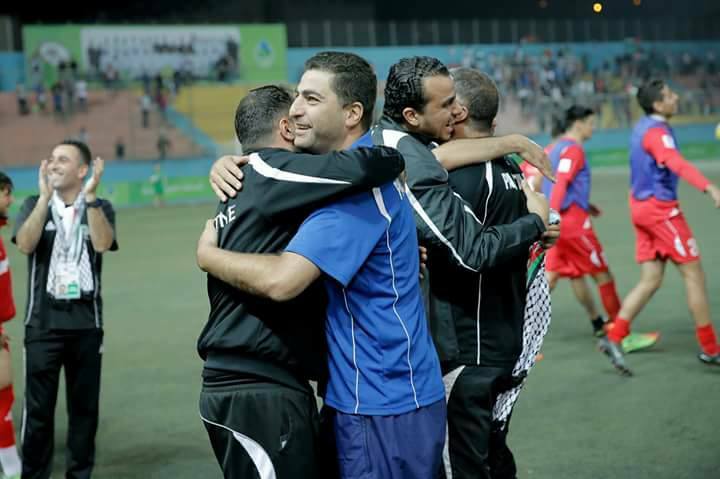 Find the right manager and support an ambitious vision for Palestinian Football going forward. The work for Palestine starts from the get go. Actions must be taken. First things first, Palestine have fallen to 17th in the FIFA ranking of Asian associations. Vietnam is only slightly ahead of them and a friendly win against Afghanistan- or a better ranked side- will generate four points to overtake the Vietnamese. The most logical appointment, Olympic boss Ayman Sandouqa, will be involved with Tokyo 2020 qualifying in March- and will not be able to lead the senior team in the first friendly window with only dates in June remaining to pick up points before the 2022 World Cup qualifying draw in July. Palestine need somebody to take the reins to ensure that they are a Pot 2 and not a Pot 3 side. Four years ago, Palestine's regression in the FIFA ranking meant they faced UAE and Saudi Arabia and Lady luck could curse them again if they do not take serious steps to improve their FIFA ranking. Abdel Nasser Barakat knows the squad and has a proven track record- so why not give him the job until qualifying and make a decision based on his performance? In the process of my research, I spoke to dozens of players- players who played every minute at the tournament, to players who ride the bench, and players who were omitted from the squad. All of them were unanimous in decrying Ould Ali's ability to manage at the international level and his lack of confidence in the players. There was also a unanimous suggestion as to the approach going forward. Hire a foreign manager. Every player on this squad- particularly the ones who play domestically want to learn and they want to be challenged by new ideas. For Palestine to take the next step they need a manager who has clear ideas and even clearer ambition. Contrary to popular belief and perhaps the belief of the current manager- the job is an attractive one. Palestine have been ranked in the Top 100 of FIFA's Ranking for the past 18 months. Al-Fida'i have lost a total of four competitive games in the last four years. The Olympic team finished 6th at last year's U23 Championship. In the right hands this team can reach the next the level. It will need the right type of manager and Palestine will not be able to muster the financial clout to recruit a name like Juan Antonio Pizzi, Alberto Zaccheroni, or Carlos Queiroz. Those names will only be candidates for the big spending nations on Asia but a big name is not a guarantee or a precursor for success. The best managers at the Asian Cup were previously unheralded and largely unknown. Park Hangseo's bold approach made Vietnam into a quarterfinalist capable of challenging giants Japan. Félix Sánchez's commitment to a clear style saw Qatar crowned champion. Even Jordan who were moribund before the tournament were revitalized by Vital Borklemans's tactical setup. The PFA should cast a wide net and conduct a transparent hiring process. It needs to find someone with hunger, passion, and a vision. He might not have the CV- but that's fine- neither did Sánchez nor did Hangseo. Why not give an opportunity to a manager coaching at youth level in a big European club? 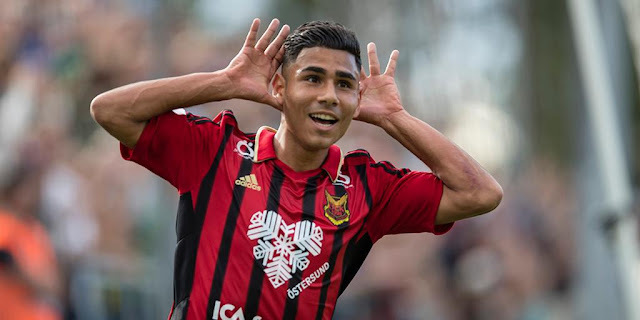 Or try and poach the next Félix Sánchez from the Aspire Academy? 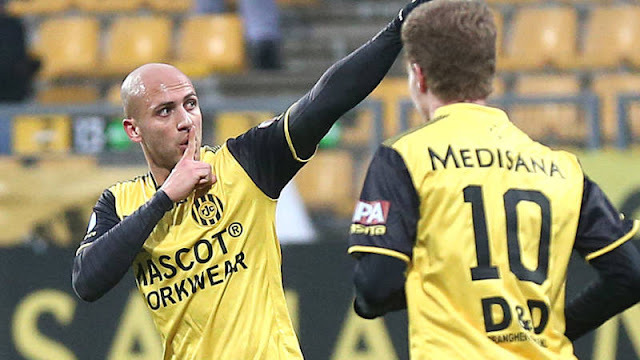 At this point we could also give a chance to a former Palestine international- like Omar Jarun (Academy coach at Atlanta United), Leo Zamora (who had Rangers de Talca in 4th place in the Chilean second tier before departing his post), or Pablo Abdala (part of Rosario Central's youth setup). There exists an endless world of possibilities for Palestine but in order for anything to come to fruition a clear commitment to a plan must be made. In an ideal world, that plan would include a commercial director to oversee increased revenue through sponsorship, investments in playing facilities, and a commitment to grassroots development and coaching. Those demands will most likely not come to fruition; but a modest investment in a national team manager with a plan could deliver just as much success to a group of players ready to take the next step and challenge for a spot at the 2020 Olympics and 2022 World Cup.